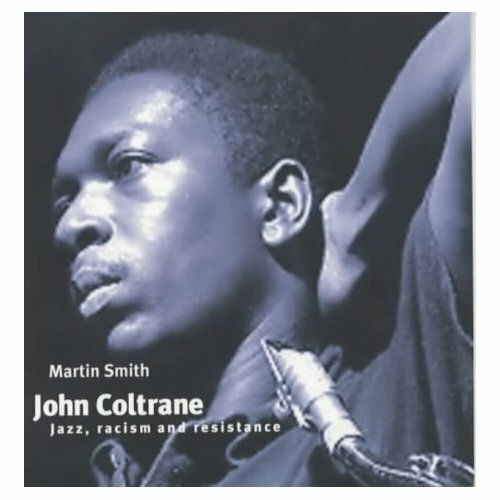 In this book, Martin Smith writes not only about Coltranes music, but sets it in a context of upheaval and change in America, during the era of the civil rights movement, and points to the message of anger, hope and aspiration at the time. Acknowledged as one of the most important musicians of the 20th century, John Coltranes saxophone playing revolutionised jazz music. Today Coltrane remains more popular than he was when he was alive, with almost every modern jazz musician falling under his influence. Coltrane s creative spirit reaches beyond the world of jazz. Rock band Audioslave cite Coltrane as a major influence. Hip-hop artists like Mos Def and Talib Kwali, and drum & bass DJs, have borrowed heavily from the Coltrane back catalogue.Coltrane's artistic creativity was in large part a product of his own musical genius, but he was clearly aided and abetted by a coterie of young musicians. Nevertheless the Coltrane 'sound' was also shaped by the growing civil rights movement that was sweeping the US in the late 1950s and 1960s. Coltrane was born in Hamlet, North Carolina, in 1926. By 1943 Coltrane's family migrated to Philadelphia, like millions of other black families who sought work in the expanding war industries. From the end of the Second World War until the early 1970s the US witnessed a sustained economic boom as a result of this industry. Coltrane's big break came in 1955, when Miles Davis asked him to play in his Quintet. Over the next four years the music the band created was some of the best hard bop jazz ever recorded, and can be heard on albums like Workin', Steamin' and Cookin'. Refusing to take his natural talent for granted, Coltrane regularly practised a minimum of 20 hours a day. He refused to accept musical boundaries and studied the work of classical composers like Debussy and Stravinsky. Indian ragas and African rhythms fascinated him, but most of all he wanted to push back the boundaries of jazz. Atlantic Records, in the space of just one year. He set about creating a permanent band, settling eventually for McCoy Tyner (piano), Elvin Jones (drums) and Jimmy Garrison (bass). Coltrane signed to Impulse! and produced a wonderful series of albums - Africa Brass, Live at the Village Vanguard and Impressions culminating in A Love Supreme. Each one was more musically adventurous than the next. The backdrop was hard bop, but more and more Coltrane was pushing back the boundaries of musical improvisation. Ultimately the music the band created became totally unique, causing his label to put pressure on him to record more commercial albums. But events were moving the band elsewhere. Following Dr. Kings death Coltrane changed direction again with the recording of Ascension, and threw himself into the free jazz movement which was coalescing around a new generation of young musicians - Ornette Coleman, Archie Shepp and Albert Ayler. The music was pure improvisation. Coltrane was now playing two hour long solos. Coltrane began to introduce percussionists, harp players and African vocalists. For some in the free jazz movement the musical revolution was purely artistic, but for many that aesthetic revolution was linked to the explosion sweeping the Northern cities. According to Coltrane's drummer, Rashid Ali, Those were trying times in the 1960s. We had the civil rights and other black movements going on at the time. James Brown sang 'Say it Loud - I'm Black and I'm Proud' and Aretha Franklin demanded 'Respect'.